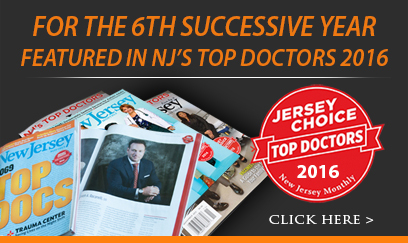 Board-certified plastic and reconstructive surgeon Dr. Joseph Racanelli is never satisfied with anything less than the best possible results. His quest for perfection means that he already offers the latest addition to hyaluronic acid products– Juvéderm Voluma XC. The first hyaluronic acid to be specifically developed for use on sagging cheeks and jawlines, Juvéderm Voluma XC has recently been approved by the FDA, which recognizes that it ‘fills an unmet need’. Juvéderm has long been a leading name in injectable filler treatments for wrinkles and fine lines. However, loss of volume in the mid face can be equally aging, making you appear tired and miserable. Until now this has been harder to counter, but Voluma XC gives fullness to the cheeks and firms up the jawline to restore balance to the face. It creates a fresher, more youthful appearance. It is an ideal complement to Juvéderm’s other injectables, which smooth the lines and wrinkles around the nose, mouth, eyes and forehead. Hyaluronic acids occur naturally in the body to transmit nutrients to the skin, keeping it soft and smooth.Voluma’s special composition combines with collagen and elastin, enabling it to improve your skin’s structure and elasticity. It is delivered as a smooth gel via injections, with little to no down-time required. Results are visible immediately and can last up to two years. Dr. Racanelli has extensive experience encompassing mommy makeovers, liposuction, fat transfer, breast augmentation or reduction, rhinoplasty, tummy tucks, and blepharoplasty, as well as a comprehensive range of injectable treatments. He is constantly searching for innovative techniques and leading edge products to help clients achieve their optimum shape and appearance. In his skilled hands, Juvéderm Voluma XC provides plumpness to restore natural-looking rejuvenated cheeks and chins. Dr. Racanelli believes in providing affordable and accessible cosmetic surgery, so contact him for a consultation at one of his four offices in Brooklyn, Manhattan, or New Jersey.